A young girl finds her destiny in ancient places in this debut fantasy novel. Tess O’Connor is on vacation with her best friend, Molly Jackson, at the family home in Texas. While Tess loves spending time with Molly and away from school, she’s having trouble enjoying the trip because she’s worried about her brother, who was recently deployed on his first military combat mission. But she soon learns that her sibling isn’t the only one she should be concerned about. It turns out that Molly has a secret: she’s been visited by faeries her entire life and is now being summoned to the court of Queen Mab for some unknown purpose. And although Tess is hesitant to believe in faeries at first, it seems she may have some connection to the Small Folk as well, as they begin visiting her in dreams. Being part faerie has its benefits, like the chance to meet a handsome, motorcycle-riding Knight of the Unseelie Court and carry a magical sword. But it also comes with monsters, dark prophecies, and a mystical war in which Tess and Molly could become knights or merely pawns, depending on their choices. Fox draws on genuine Celtic faerie lore to create an imaginative world all her own. She also has something of a flair for description, as shown in passages like this: “The silence stretched taut between us, warmed by the morning sun. I pinched some dirt between my fingers, rubbing the grit against my skin as though that would scrub away the uneasiness hovering in my mind.” The book’s greatest weakness is its dialogue. Molly and Tess go back and forth between talking like average teenage girls and using sophisticated, thesaurus-enriched prose. The story is also fairly clichéd, with few surprises for fantasy fans. Still, many young readers will likely overlook these flaws for the sake of exploring a faerie land full of fun action and clever characters. 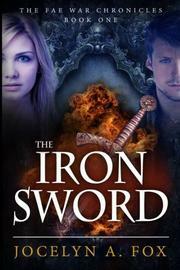 A swords-and-sorcery tale that dazzles even when the dialogue fails to shine.